Thrust into a position of comfort by their mesmeric No. 10, Barca put on an exhibition of attacking, possession football, all tricks, flicks and bicycle kicks. And United’s early threat was genuine. Their knack of breaking through central midfield, with only space and a back-pedalling Barca defence ahead of them, exposed a fragility against pace and counter-attack that has never been far away. Liverpool carry a 2-0 lead over Porto into their second leg in Portugal on Wednesday and if it is to be them in the semi-finals, Mohammad Salah, Roberto Firmino and Sadio Mane might justifiably feel there is a weakness to exploit. 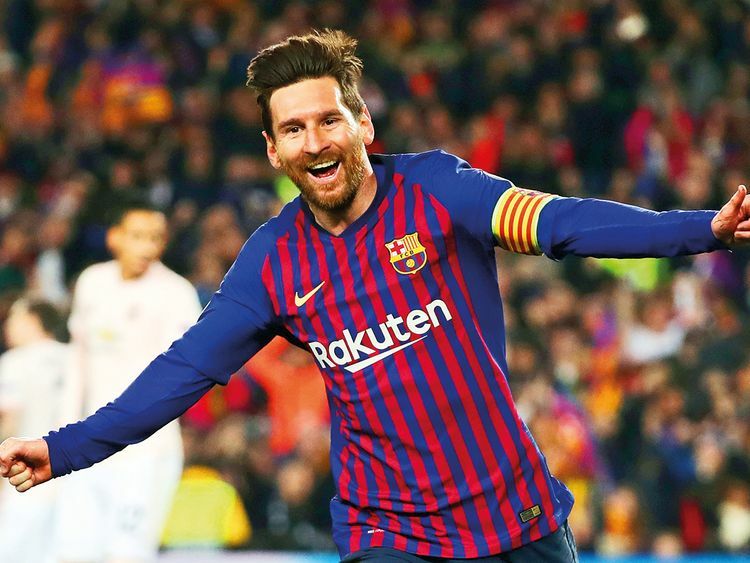 Most deficiencies can be rectified by Messi, whose 109th and 110th goals in the Champions League were, mysteriously, his first in a quarter-final since 2013.